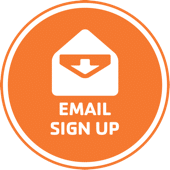 Home › Blog › Commercial HVAC › Why do you need to schedule a professional for Commercial HVAC Installation in Dallas, TX? Commercial HVAC systems are heavy-duty systems used for most public or private buildings in Dallas, TX. Therefore, commercial HVAC installation is a heavy-duty task too. It is recommended to make the installation process as quick as possible to avoid discomfort to the people inside your business building. A qualified professional is likely to get the installation process of your Commercial HVAC completed very quickly. 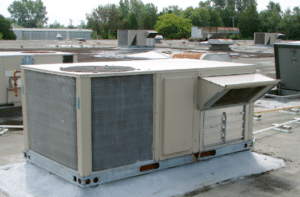 One of the significant reasons behind repeated commercial HVAC repair requirements is the poor installation. Commercial HVAC installation is not an easy task. Numerous connections and calibrations need to be taken care of which if not completed accurately can lead to minimised effectiveness and efficiency of the machine. Often the ground units of the HVAC systems are overlooked when it comes to overhead side protection of the machine. We ensure proper coverage of each part of the HVAC components and units during installation. It is essential to be able to locate the units of the Commercial HVAC at certain distances to achieve the minimal length of duct-work. We ensure minimal duct-work because a reduction in the length of the duct-work means a reduced duct cleaning cost. Although it becomes effortless when the machines get installed on the flat roof of the building, it is a difficult task when it comes to ground installations. We also make the separation of temperature zones within the same structure a more straightforward process. – Proper coverage and placements reduce the chances of thefts or other valuable components of the commercial HVAC system. – Ensure that there is no damage due to vehicles or trees. Professional Commercial HVAC installations in Dallas, Tx guarantee space utilisations and reduce the loss in ground floor or yard. Unplanned installations in the basement or other location large official buildings might utilise much valuable space. Increased number of choices to support energy efficiency. Energy conservation is a big deal in Dallas, TX. At Enertia HVAC we let customers know about all the options available in efficiency-enhancing systems and technologies. The latest technology that hit commercial HVAC in Dallas, TX is the FAD or the fresh air dampers. The FAD is commonly available with rooftop HVAC systems. The ‘damper’ is a flap cut inside the duct. When the damper opens, it permits the cold stream of outside air to mix with the Conditioned air released from the HVAC unit. The FAD unit is fully automatic and programmable. We provide a programmed control of the HVAC system. By installing means to change the rate of flow of air the volume of air flowing through the ductwork can be adjusted accordingly. The commercial HVAC system is a crucial part of your success irrespective of the business you behold. However, the benefits of having a rooftop commercial HVAC installation in Dallas, TX when you need to have a new system fitted in your office is not a bad idea.